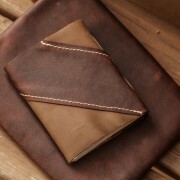 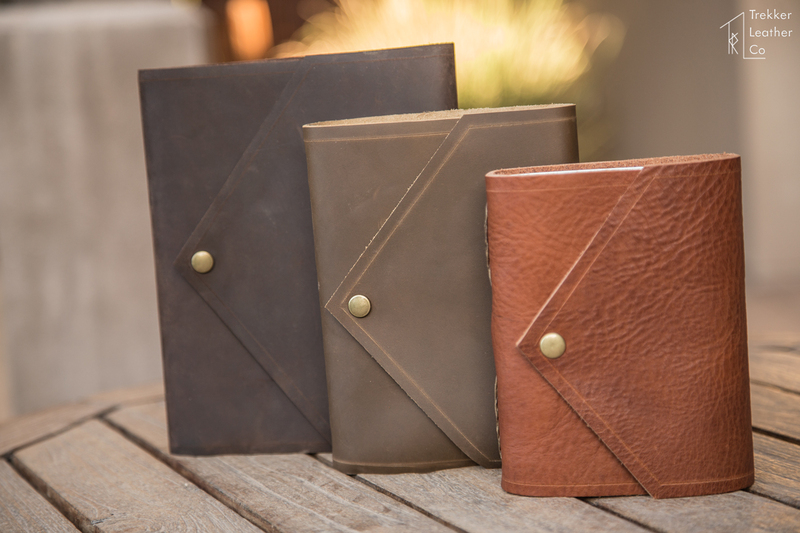 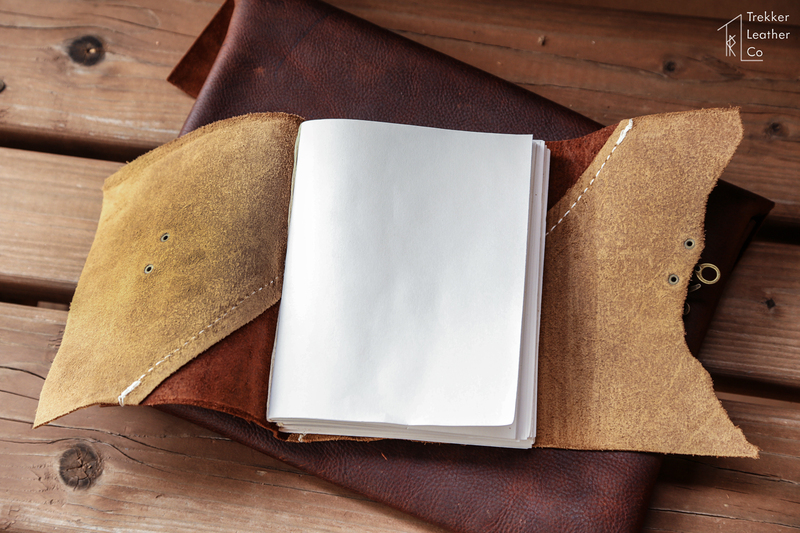 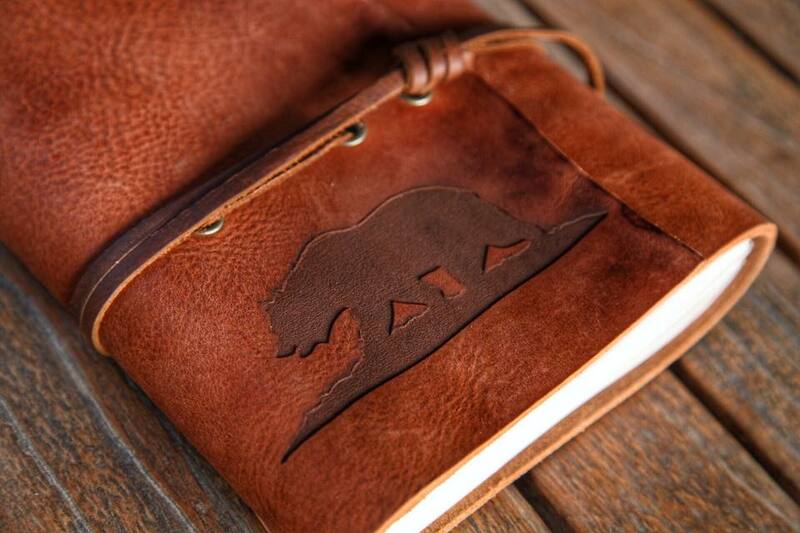 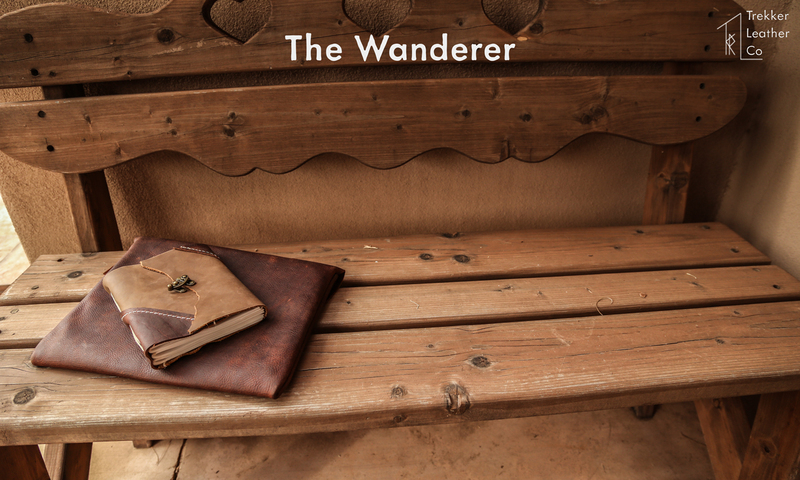 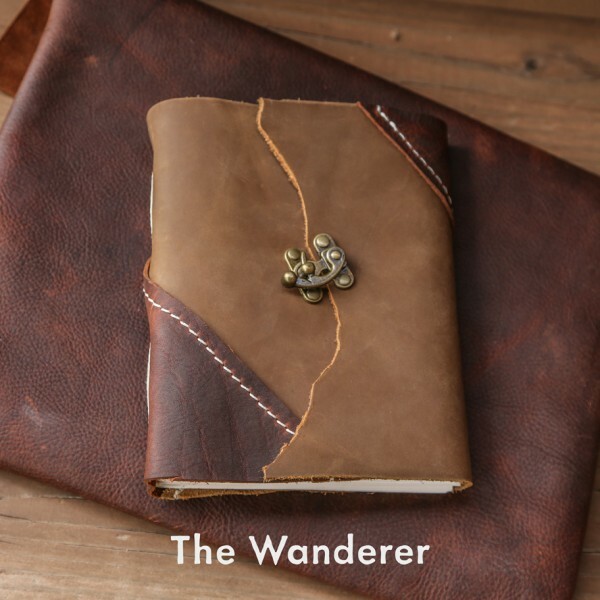 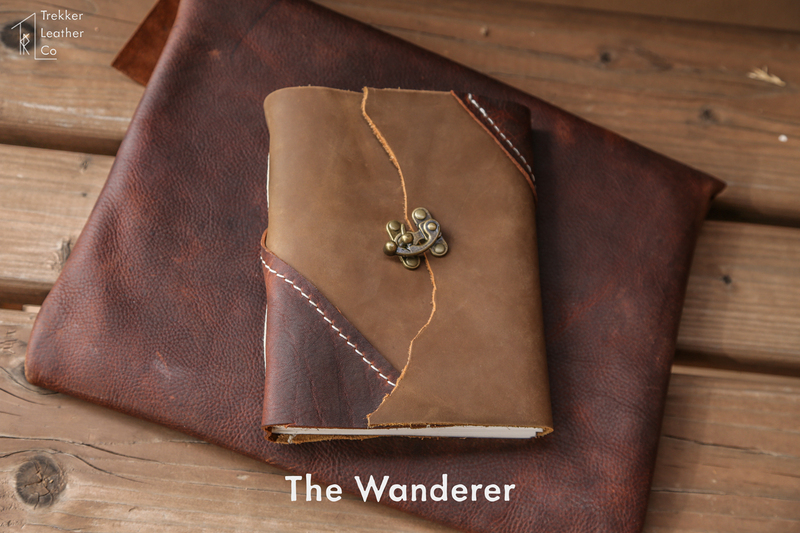 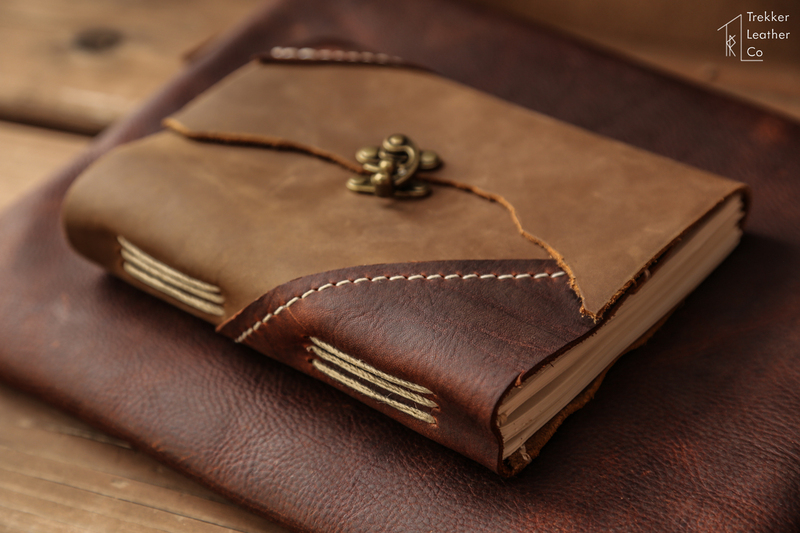 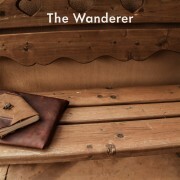 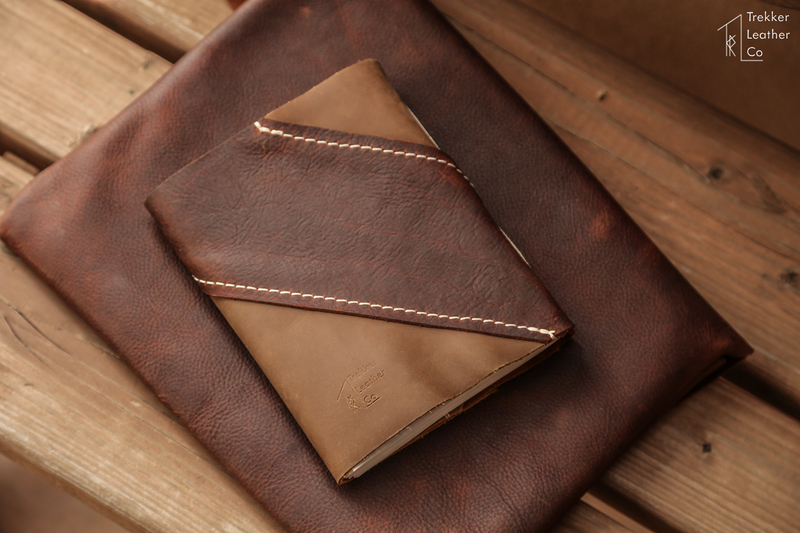 The "Wanderer" Leather Notebook | Handmade in the U.S.A.
A combination of utility-grade cowhide and premium kodiak hide. 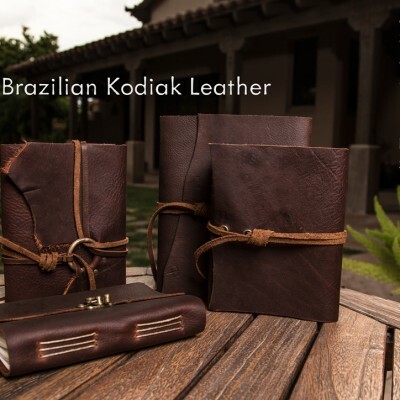 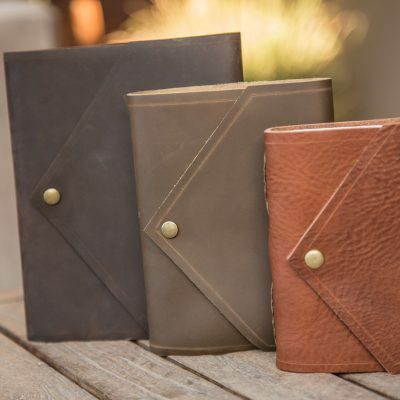 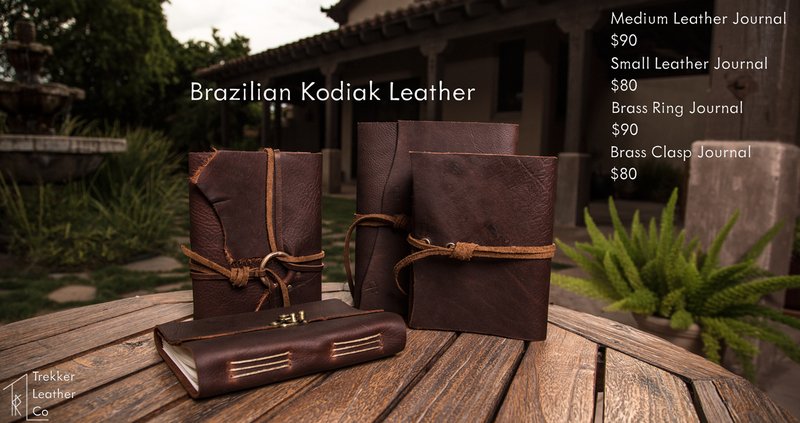 This is one of our prides and joy: We use our utility cow hide, and our Brazilian kodiak leather, and put them together to create this unique, leather notebook. 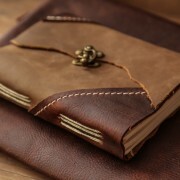 The locking clasp is made out of solid brass, and we rivet it in to ensure it stays. 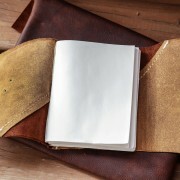 Each journal is made upon order, and a typical wait time is 3-5 business days, depending on our queue. 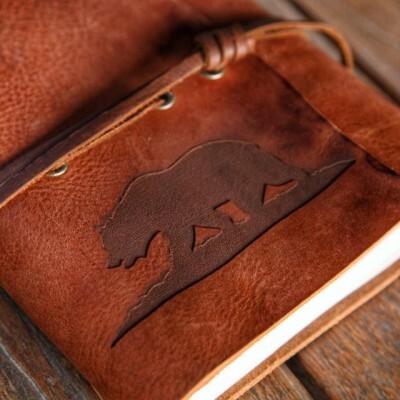 This journal comes with a complimentary initial stamping (3 letters), and custom laser engraving is available upon request.